The Tennessee Valley Authority board shunned the directions it was given earlier in the week by both Senate Majority Leader Mitch McConnell and President Donald Trump and voted 6-1 to retire the incredibly filthy Paradise 3 power plant near Drakesboro, KY. Paradise will shutter its 971 megawatt unit by December of next year. Paradise has been a thorn in the side of Valley Watch since our inception and was once a 2650 MW behemoth that sent its massive levels of pollution for hundreds of miles whichever way the wind blew. At one time, the plant was the largest emitter of toxic chemicals in the entire southeast region of the USA. In addition, Paradise was responsible for decimating hundreds of acres of farmland around the area by Peabody Energy’s Sinclair Mine that provided the high sulfur coal consumed by the plant for almost 60 years. Later, the mine property was used to store huge quantities of coal waste. Just this week, President Trump sought to influence the TVA Board’s decision by seeking to keep Unit 3 open indefinitely for the benefit of his friend Bob Murray of Murray Energy who supplies coal to the facility. Mitch McConnell, Kentucky Senator and Senate Majority Leader made a similar request. but apparently neither were persuasive enough for the Board to follow. This action will certainly result in the long term improvement of health for residents of the tri-state since this was one of the largest polluters in the region for decades. Valley Watch has long sought the closure of this huge polluter and we celebrate this as yet another victory in our effort “to protect public health and the environment of the lower Ohio River Valley,” our stated mission. 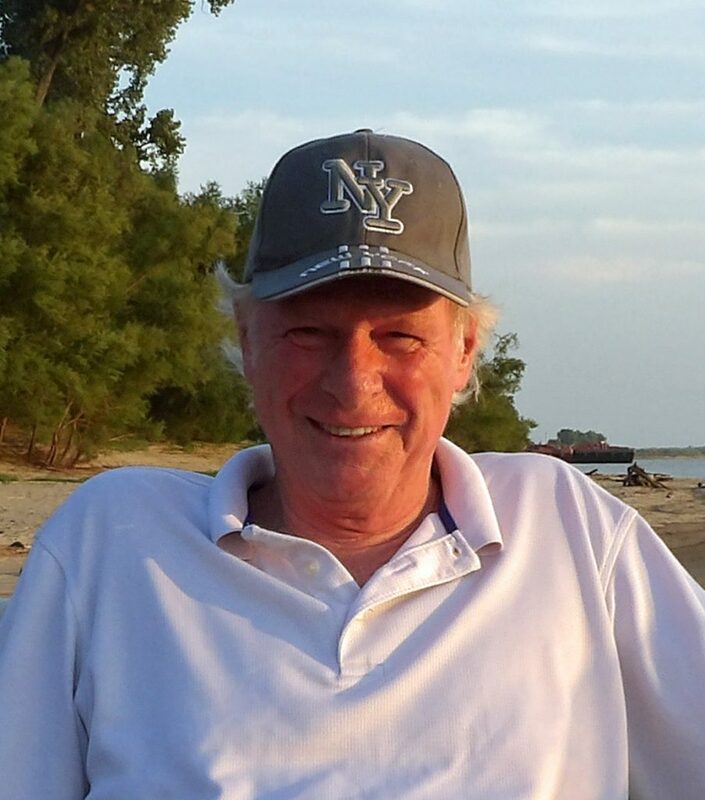 In the course of his decorated career in environmental law, Tom FitzGerald tamed the scourge of Kentucky’s renegade strip miners, prodded state regulators to protect groundwater from reckless underground mining practices, and kept some of the state’s wild rivers safe from oil and gas drilling. In these and the dozens of other cases he either won or significantly influenced as director of the tiny nonprofit Kentucky Resources Council, the 64-year-old lawyer served the public interest principally as an outsider. 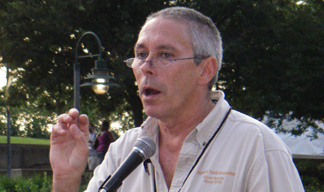 In 2014, though, President Barack Obama made FitzGerald an insider by appointing him to the governing board of the Ohio River Valley Water Sanitation Commission, more commonly known as ORSANCO. Today, FitzGerald is at the epicenter of a fierce industry-led struggle meant to end one of ORSANCO’s core missions — setting and enforcing safety limits on biological and toxic pollutants spilling into the river. Since its establishment in 1948, the multi-state environmental agency has played an outsized role in improving water quality and ecology on America’s most important industrial river. Founded by an act of Congress and an interstate compact signed by the eight states of the 204,000-square-mile Ohio River Basin, ORSANCO has served as an innovator of policies and practices to reduce biological and toxic chemical discharges to the river. It developed and implemented so-called “pollution control standards” compelling cities and towns to stop dumping raw sewage into the Ohio River. It did the same for cleaning up chemical and toxic effluents from coal-fired power plants, refineries, and metals manufacturers along the river. ORSANCO’s safety standards have been adopted by the six states that border the river, and incorporated by several states as requirements in discharge permits. It is widely credited for its big role in significantly improving water quality and ecological conditions along the river, which 5 million people depend upon for their drinking water. The push to fundamentally change ORSANCO’s role is supported by some board members. 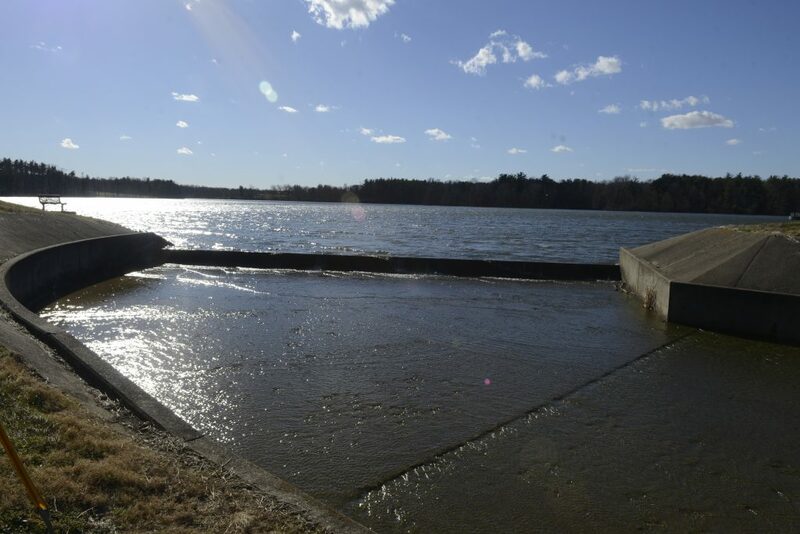 But FitzGerald has fought back with a separate proposal that would maintain the pollution control standards and expand the agency’s work to help reduce biological and toxic chemical pollution. This month the full commission meets to weigh the competing measures. In 2014, utilities successfully challenged an ORSANCO water discharge safety limit for the J.M. Stuart coal-fired power plant in Adams County, Ohio. It was the first time an ORSANCO standard was nullified by a state environmental review board, and set off alarms and a review of the agency’s standard-setting program. The 2,318-megawatt power station closed in May 2018. In regulation as in investment, previous achievements are no indicator of future success. Executives of coal-fired utilities and major manufacturers that operate along the river, and water quality managers in West Virginia and several other states, have been chafing for years at ORSANCO’s role in setting safety standards. One ORSANCO standard, adopted by Ohio and Pennsylvania in 2003, was particularly galling to industry. It barred “mixing zones” for PCBs, mercury, and other toxic chemicals — the practice of allowing industries to dilute pollutants in the river’s current to comply with water quality limits. On June 18, 2014, an environmental appeals board in Ohio provided an opening to challenge ORSANCO’s standard-setting. The board sided with six big coal-fired utilities and formally rejected an ORSANCO human health safety standard included in a state discharge permit for a large coal-fired power plant in Adams County. Dayton Power and Light, the plant’s owner, and the five other utilities argued that the ORSANCO standard, which set a limit on the temperature of cooling water discharged into the river, was unlawful. They successfully argued that Ohio had never formally adopted the standard as a regulation. The Ohio ruling, the first time an ORSANCO standard had been rejected by a state, set off alarms in the agency. It also provided the opportunity for utilities and their supporters on the ORSANCO commission to ask probing questions about the usefulness of the agency’s standard-setting program. In December 2014, Thomas Easterly, the head of Indiana’s Department of Environmental Management and the ORSANCO chairman, formed a subcommittee to review how the agency’s water quality standards are embraced and implemented by states. FitzGerald was named as one of the nine members. During the course of its work, the subcommittee determined the relevance of ORSANCO standards. In 188 instances, ORSANCO established a standard for a pollutant that neither the EPA nor a state set. There are 252 other instances in which ORSANCO standards were at least 10 percent more stringent than those of the Ohio River states or the EPA. ORSANCO typically establishes standards, embraced by the states, that are more rigorous than the EPA limits. 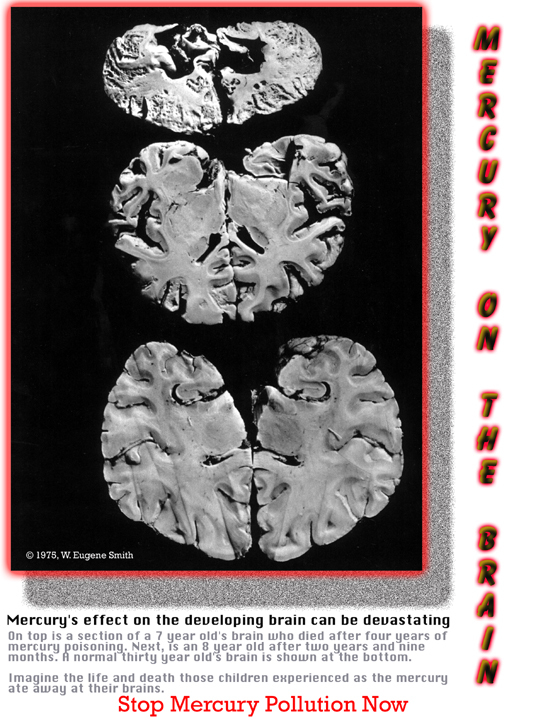 Some limit discharges of pollutants known to be dangerous — ammonia, cyanide, and mercury. 5G and potential health risks. December 19, 2018-Editor’s note: The Valley Watch office now has a “smart meter.” Across the street, is a Verizon cell tower and along two sides of our building runs a Vectren 134 Kilovolt transmission line. Before the cell tower and the smart meter were installed, we took a Gauss Meter reading and found a very high level electromagnetic field everywhere on our property. Now, we have a new Vectren substation being constructed just down the street. This is in a residential neighborhood where people of all ages are exposed to this radiation on nearly a continual basis. Hmm. 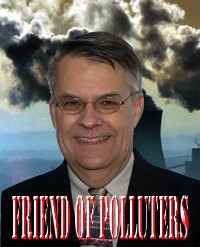 November 23, 2018 – by IEEFA – Editor’s note, Valley Watch has long been opposed to the use of carbon capture and sequestration (CCS) due to its deleterious economics. Further, the study concludes that technology developments in the renewable energy and natural gas sectors have obviated the need for continued efforts to retrofit carbon capture technology on the nation’s shrinking coal fleet. 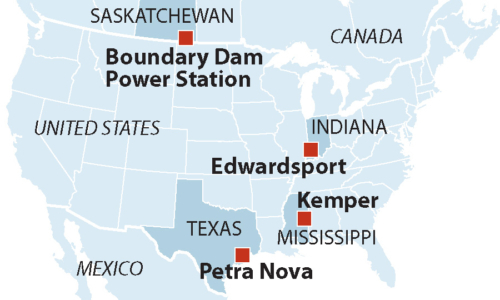 The report— “Holy Grail of Carbon Capture Continues to Elude Coal Industry”—tracks the history and performance of four highly touted projects: Saskatchewan Power’s Boundary Dam Power Station in Canada, NRG’s Petra Nova project in Texas, Southern Co.’s Kemper plant in Mississippi, and Duke Energy’s Edwardsport plant in Indiana. While the report focuses on North American initiatives, it speaks as well to long-standing U.S. coal industry plans to sell carbon-capture technology abroad. The report traces a legacy of costly experimentation that began over a decade ago under the direction of the U.S. Department of Energy, which began in the early 2000s to seek ways to capture coal-generated carbon emissions to address climate change. American electricity markets relied on coal for more than 50 percent of power generation nationally at the time, a figure that has dropped to less than 30 percent and is continuing to shrink as natural gas and renewables gain market share. The report describes further how market forces have undercut the economics of retrofitting carbon-capture technology on the aging American coal fleet. : “High-risk, high-cost CCS investments looked potentially viable a decade ago but are being eclipsed today by less-costly ways to produce electricity while curbing carbon emissions,” it states. Breathe easier in February. Henderson Muni to retire two Sebree units. October 26, 2018-By Robert Walton, in UtilityDive. Henderson Municipal Utilities operates two units in this complex that also hosts the Louisville Gas and Electric Company ‘s Reid Station. File Photo © 2018 BlairPhotoEVV. Henderson Municipal Power and Light in Kentucky will close its coal plant early next year and turn to the open market for its power needs, as the aging plant’s energy production is consistently more expensive than available supplies. 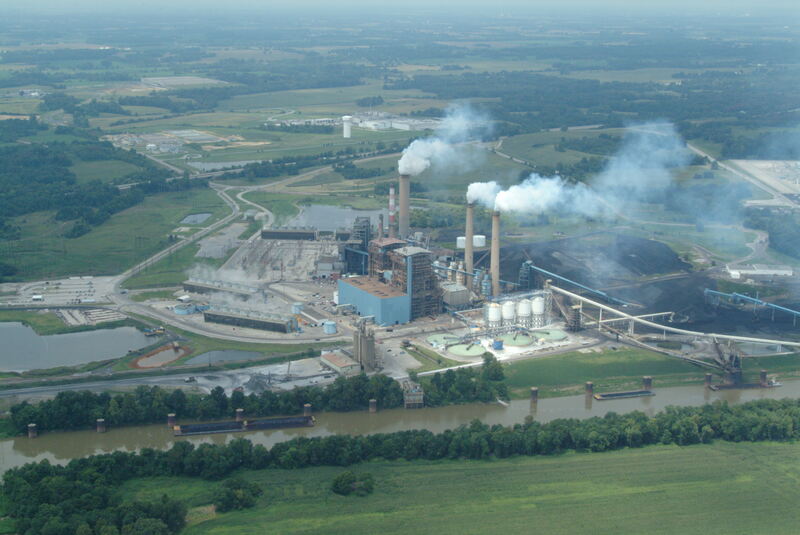 Henderson’s 300 MW coal plant, Station 2, is operated by Big River which sells the excess energy. However, power from the plant costs approximately 33 times more than alternative generation and it ran infrequently, local news station WFPL reported earlier this year. In a letter earlier this month, the Midcontinent ISO (MISO) approved the shutdown of Units 1 and 2 effective Feb. 1, 2019, after determining the generation was not necessary as a system support resource. 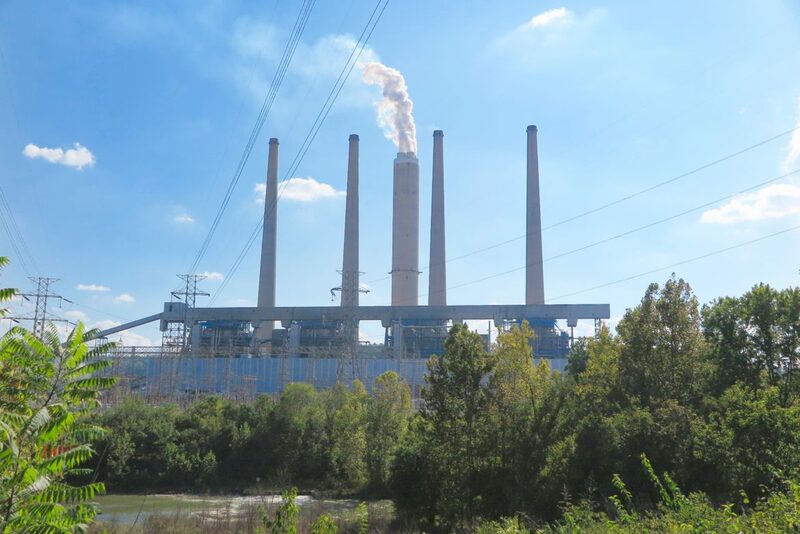 Coal-fired generators continue to close down, and Henderson’s power plant is only the most recent example. According to the Sierra Club, the plant is the 277th coal generator that has shut down or announced plans to do so since 2010. And new research finds closures are accelerating. The Institute for Energy Economics and Financial Analysis (IEEFA) on Thursday released an analysis estimating 15.4 GW of coal-fired capacity will close this year, including 44 units at 22 plants. This year at least 11 GW have retired and the final tally is predicted to eclipse the previous record of 14.7 GW retired in 2015. IEEFA estimates another 21.4GW of coal-fired capacity will close over the next six years. There have been exceptions. 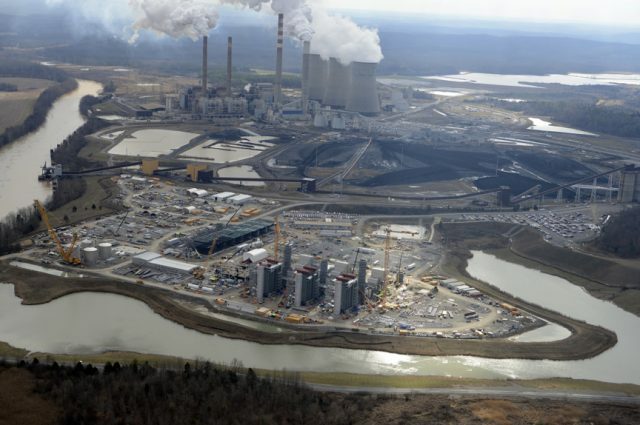 Just last week, FirstEnergy announced it would delay closing its 1,300 MW coal-fired Pleasants Power Station in West Virginia. The plant had been slated to close next year, but will instead continue operating into 2022. That decision, however, had less to do with coal’s long-term viability and more with the bankruptcy proceeding of FirstEnergy Solutions. IEEFA estimates that in July the U.S. coal fleet stood at about 246 GW, but by the end of 2024 that capacity could be reduced 15%. “Polluted air can cause everyone to reduce their level of education by one year, which is huge,” said Xi Chen at Yale School of Public Health in the US, a member of the research team. “But we know the effect is worse for the elderly, especially those over 64, and for men, and for those with low education. 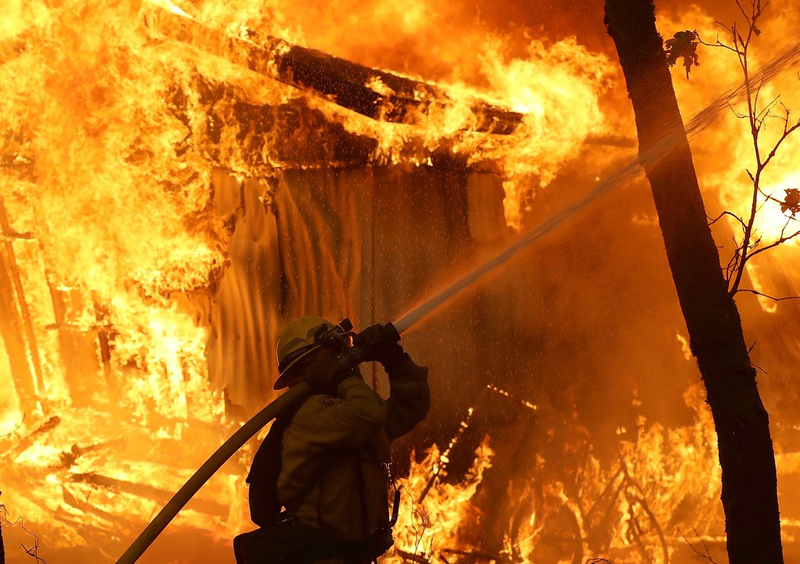 If we calculate [the loss] for those, it may be a few years of education. 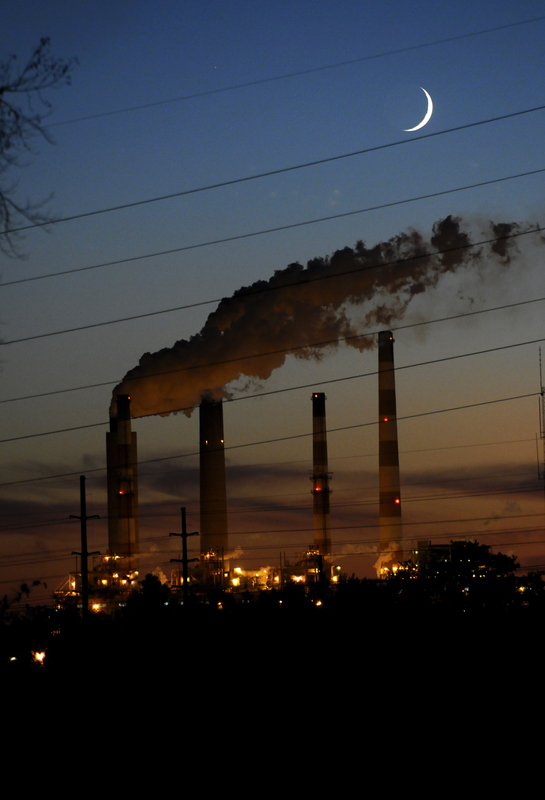 Billions At Stake: Should We Invest In Struggling Power Plants Or Communities Facing Closures? August 23, 2018 – by Sonia Aggarwal in Forbes. Editor’s note: Coal-fired power plants in the Tri-State are experiencing similar issues in that they cannot compete in the marketplace of producing electricity due to a variety of economic and physical factors. None are less than 30 years old (Rockport 2 came online in 1988) and none were projected to have life over 40 years when built. Duke, Vectren, AEP, Big Rivers, IPL, Alcoa and TVA are all facing the same problem. FirstEnergy Solutions’ coal and nuclear power plants are facing serious economic challenges, along with the workers and communities that depend on them, and are hoping for a billion-dollar annual bailout from the Trump Administration. The company filed a deactivation notice for three of their power plants in March, just submitted closure plans for those plants to the federal government, and filed for bankruptcy this spring – calling into question the future of at least three more power plants that are exposed to the competitive market. 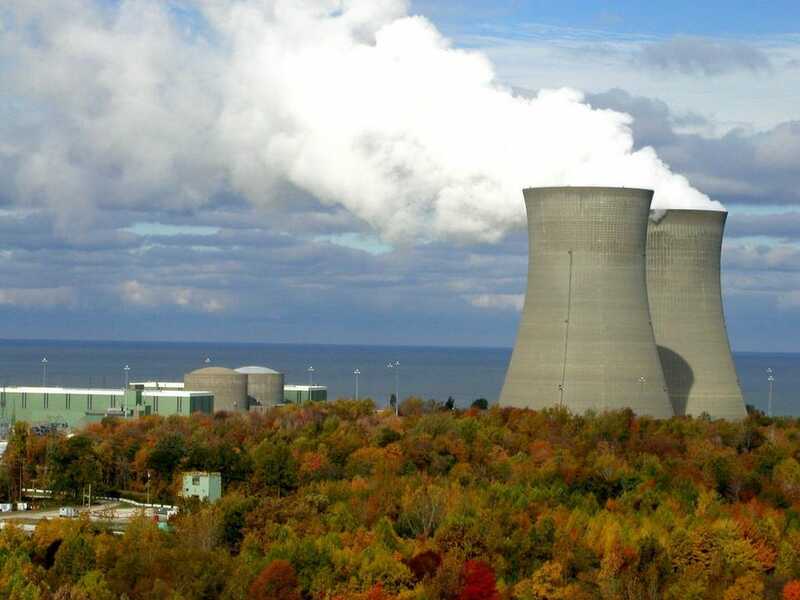 New research shows FirstEnergy would be the recipient of an estimated $2 billion in subsidies over just two years if the Trump Administration’s coal and nuclear bailout becomes reality . They’d be kept online through payments that contradict market economics, but the fundamental economics causing their distress won’t change. And when these funds do dry up, the power plant workers and host communities facing economic distress would be right back where they are today – wondering what comes next after power plants close. So what if instead of using billions to bail out FirstEnergy and other big power plant owners for a couple of years, funds were redirected to help communities with power plants that can no longer compete in power markets? What if those funds went to communities—rather than a few power plant owners —to support the inevitable transition, diversifying local economies and creating a longer-lasting solution? Fast-falling clean energy costs are making many old power plants around the country unable to compete. Coal and nuclear are now more expensive than alternatives like natural gas, wind energy, and solar power in regional power markets designed to avoid expensive options and cut customer costs. Natural gas prices are near the lowest they’ve been in 15 years, solar and wind power costs dropped below those of building coal and nuclear power in 2017, renewable energy costs are forecast to keep falling through 2050 while the cost of operating coal and nuclear plants keeps climbing due to needed upgrades as plants age. Every few years someone pursuing a “get rich quick” scheme comes up with an idea to use coal as a feedstock for other forms of energy like liquid or gaseous fuels. In my forty some years as an Evansville resident, there have been more than a dozen of these ploys proposed for using coal in the Illinois Basin. Only one has been built. That was the financial disaster at Edwardsport proposed in 2004 by Duke Energy to cost $1.4 Billion and would be “Carbon Capture Ready.” Yes, today that plant is operating but at a level no where near what Duke claimed it would when they persuaded a proven corrupt Indiana Utility Regulatory Commission in 2007 to give them authority to spend $1.985 Billion to build a 630 Megawatt “Integrated Gasification Combined Cycle (IGCC) plant they promised would operate at greater than 80% efficiency. Duke, not only had their hands in ratepayer pockets, they also had $133 million in Federal Income Tax Credits. Today, that plant has failed using nearly every criteria, especially regarding its cost which the IURC has allowed to increase to a whopping $4.5+ Billion lemon, that leaves Duke’s ratepayers holding the bag for at least $3.65 Billion. And it is nowhere near capturing any of the voluminous Carbon Dioxide that is contributing to climate change. 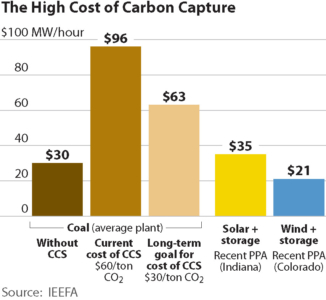 If Duke had captured CO2, that would have raised the capital cost for the plant by an additional 50% and also cut the efficiency of the plant another 25-40% by consuming that much of the power the plant was designed to produce. At about the same time Duke was making its pitch, calling Edwardsport, “clean coal,” another proposal was announced by then Governor, Mitch Daniels for Rockport, a town that was already one of the dirtiest communities on Earth for Toxic Emissions (approximately 30,000,000 pounds, according to USEPA’s Toxic Release Inventory at that time). It was called Indiana Gasification (IGLLC) and sponsored by a financial holding company named Leucadia National. Like Duke, they hoped to cash in on the generosity of Federal and State governments. The Feds were ready to give them a Department of Energy Loan Guarantee of $2.8 Billion to pursue their dream of riches. And the State of Indiana gave them their biggest plum, legislation that made the State of Indiana their only customer buying all the syngas produced by the plant but then would force Indiana residential and commercial customers (not industrial customers, of course) to buy the syngas from the state at a massive premium just for the honor of getting our home heating gas from coal. After following what I called the Communist Chinese “model of business,” that plant was never able to reach financial and economic viability due to a variety of factors including cheap natural gas and loud protests from opponents like Valley Watch and the Citizens Action Coalition. Finally, in 2014, Leucadia abandoned the project after I personally met with their CEO to discuss the enormous risks the company was taking even with all that taxpayer assistance. But sadly, there is no shortage of stupid enrichment schemes for people when it comes to coal, especially around here, where in some circles, coal is God. In 2010, a company of Connecticut carpetbaggers calling themselves Clean Coal Refining Corp. decided to exploit the hopes and dreams of economic development officials of Vermillion County, just north of Terre Haute. They promised a $3 Billion coal to diesel plant at the former US Army Newport Chemical Depot where deadly nerve gas had been stored since early in the 20thCentury for possible use in chemical warfare. Remote and secure, Clean Coal Refining took on another name Riverview Energy Corp. when it became apparent that coal refining was not the way to market a new project, even in coal friendly Indiana. Once the name was changed sponsors promised Vermillion County officials the moon and more. After all, their project would be an economic panacea for the area, revitalizing a depressed section of the state. 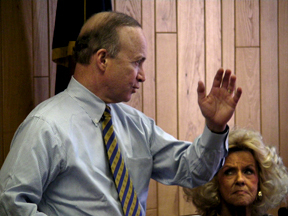 It gained full support of then Governor Daniels and his Lt. Governor, Becky Skillman who directed the State Center for Coal Technology Research at Purdue to provide support for the project. But then, something went very wrong. Clean Coal Refining had optioned 1,500 acres of the Depot’s 8,800 acre facility, promising a “feasibility study” of the process and proposal that would make financing of the project easy. But, the study was never made public and financing never materialized. After six long years, in October 2015, the Depot’s Reuse Authority decided they had had enough of the Connecticut’s firm’s empty promises and officially refused to renew Riverview Energy’s option on the land, effectively shutting the project down. Like most people hoping for large profit on small investment, Riverview went to the State of Indiana asking where else they might go to develop their ill-fated project. 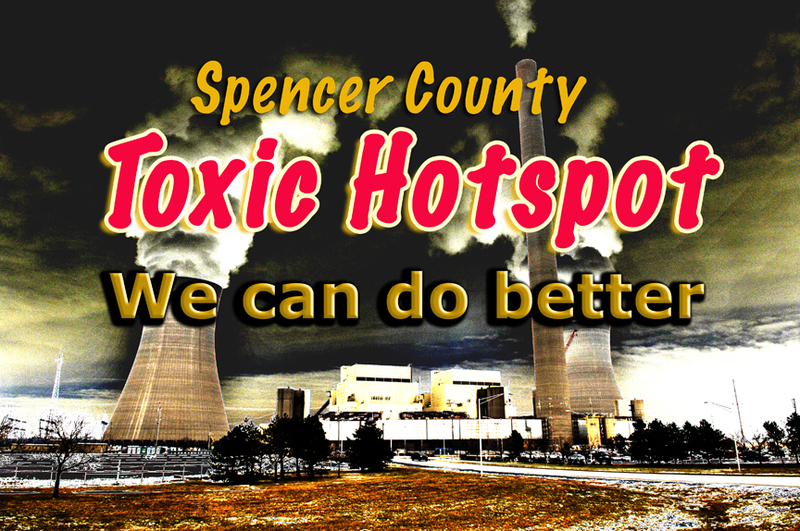 They were told to check out Spencer County that was already a heavily polluted venue that had a reputation for taking anything that promised jobs, big investment and lots of chemical emissions. They talked to LincolnLand Economic Development Corporation, which had sought not only the failed Indiana Gasification project, but also a more recently failed Ohio Valley Resources mega fertilizer plant. In almost total secrecy, Riverview and LincolnLand set the stage for 512 acres of prime farmland to be annexed into the bucolic town of Dale for use in a scaled down $2.5 Billion project, that would nearly double the physical area of the town. Again, nearly secret meetings were held to negotiate the sale and annexation of the land for use by Riverview. But secrets are fairly hard to keep in a small town and as word filtered out about the secret meetings, town residents were skeptical of becoming home to a experimental project that had never been used commercially anywhere in the world using coal as a feedstock. When the annexation was passed in August 2017, one of the town board members told a local resident that he voted on it even though he knew nothing about it or the process it would use. That set off alarms for several residents who were already concerned with high levels of various diseases in the area, especially since this was an experimental technology at the proposed size not far from an elementary school. 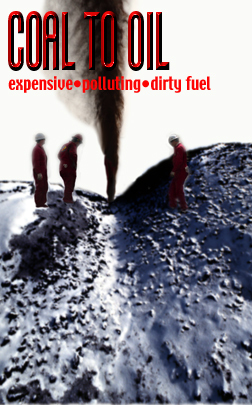 It did not take long for Dale residents to organize a new grassroots group using the moniker NOC2D or No Coal to Diesel. They sponsored public forums and started posting yard signs all over the small community in direct defiance of the Town Board which still acts as if the plant’s proposal is something that should remain as secret as possible. 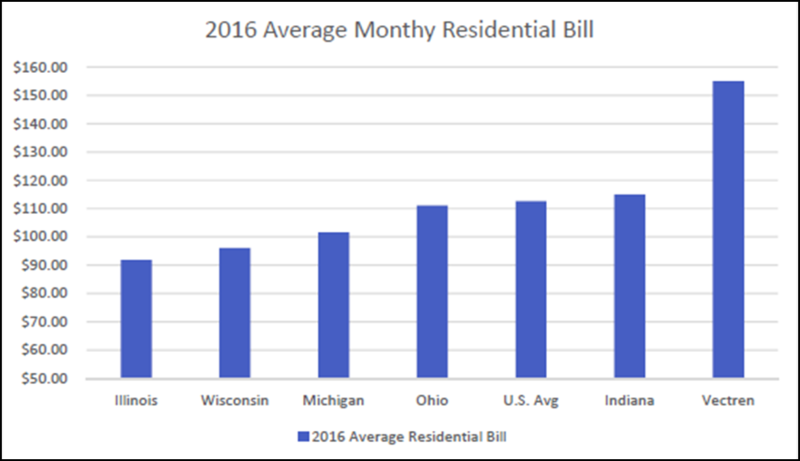 Today, for perhaps the first time ever, the Indiana Office of Utility Consumer Counselor came out against a proposal by Vectren Corporation that if approved by the Indiana Utility Regulatory Commission would ultimately increase electric rates for southwest Indiana residential and commercial electric customers bills by nearly $1 billion. While Valley Watch has fought for years for reduced usage of coal as an energy source, and was pleased when Vectren announced their intention to retire three coal units in the 2016 Integrated Resource Plan, we have had serious reservations about the sheer size and cost of their proposal build a giant natural gas facility at the AB Brown site in southeast Posey County at a cost to could cause significant economic harm to most of the residential and commercial customers. Today’s announcement by the OUCC sill surely set in motion a clash between Vectren, Valley Watch Citizen’s Action Coalition and other intervenors as to the future of that plan. Valley Watch, whose purpose is to “protect the public health and environment of the lower Ohio River Valley, is committed to fair, just rates for clean, safe energy. 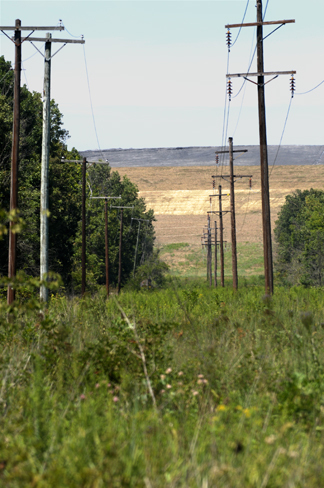 Currently, southwest Indiana and western Kentucky is home to nearly 15,000 megawatts off coal fired electric generating capacity that for decades has impacted the health of citizens of the region in very negative ways. All but around 4,000 of those megawatts are sent out of the region and that 4,000 serves to run the enormous electric needs of three of the USA’s remaining eight aluminum smelters. Air pollution, water pollution and land pollution from these giant facilities permeate our environment and will have negative impacts for the region for years after they cease operation. August 1, 2018-by David Schlissel in IEEFA News Editor’s Note: Valley Watch has steadfastly opposed this plant since it’s conception offering sage testimony at the original CPCN hearing in Bloomington in 2007. Duke Energy’s 5-year-old gasified coal power experiment in Edwardsport, Ind., has turned out to be a catastrophe for ratepayers. Duke Energy’s Edwardsport plant has been a financial disaster for Hoosier ratepayers. That’s the main conclusion of the testimony I submitted yesterday to the Indiana Utility Regulatory Commission on the plant, which was sold at the outset as a cost-effective integrated gasification combined cycle (IGCC) project that burns gasified coal, or syngas. The all-in cost of power from the plant, including financing costs and profits for Duke, averaged $145 per megawatt-hour (MWh) over the 55 months from its opening in June 2013 through December 2017, according to the latest available data. And that doesn’t include the $397 million Duke collected from Indiana ratepayers for the plant even before it went into service. Market prices, by comparison, averaged $32 per MWh over the same period. This means that Duke’s ratepayers paid in excess of $1.4 billion more for power from Edwardsport than they would have spent to purchase the same energy and capacity from the competitive wholesale markets in the 15-state region encompassing the grid managed by Midcontinent Independent System Operator (MISO). Edwardsport will continue to burden ratepayers unless the commission takes some strong action. A plant that by any empirical measure has fallen well short of expectations—and will most likely continue to do so. My testimony explains how it is unreasonable—given Edwardsport’s high O&M expenses—to expect that the plant will produce a net economic benefit for ratepayers at any time in the foreseeable future. Indeed, Edwardsport is likely to become even more of an economic problem for Duke’s Indiana ratepayers as now-entrenched market trends persist. Natural gas prices are expected to remain low, and design and technological improvements are driving down the costs of competing wind and solar resources. As more natural gas-fired generators and more wind and solar renewable resources are added to the MISO grid, Edwardsport will become even less economically viable. Two forces in particular are working against the plant: The fact that market prices can be expected to remain low, if not decline over time, and the likelihood that generation from Edwardsport will be displaced by lower-cost wind and solar energy. BY ANY EMPIRICAL MEASURE, EDWARDSPORT’S OPERATING PERFORMANCE HAS FALLEN WELL SHORT of what Duke promised the Indiana commission it would be when the company sought permission to build it. Those metrics include heat rate, capacity factor, equivalent forced outage rate and availability of syngas. And by any forward-looking empirical measure, the plant’s performance, especially on syngas, should not be expected to improve significantly at any time in the foreseeable future. The plant continues to lose a significant portion of its potential generation due to gasifier equipment problems, which explain its extremely poor 40% capacity factor on syngas during its first 55 months of operations, far below the 79 percent average capacity factor projected by Duke. The plant continues to consume large amounts of power just to operate onsite equipment (known as “parasitic loads”) and is often shut down due to unanticipated problems or forced to operate at less than full power. The plant’s heat rate, a measure of the efficiency with which it burns fuel, continues to be extremely high, meaning the plant must burn more fuel to produce the same power. This increases the fuel costs that ratepayers must bear. The plant has had to be shut down for extended maintenance outages in the spring and fall of each of the last few years, a pattern that is expected to continue. Duke has been unable to offer into the MISO markets the plant’s maximum output of either 618 MW during the non-summer months or 595 MW during the summer months. EDWARDSPORT, IN SHORT, HAS OPERATED UNRELIABLY AND IS ENORMOUSLY EXPENSIVE TO RUN, with total operating and maintenance costs alone averaging $60 per MWh since it opened. Its core problem, in technical terms, is that it is uneconomical unless both trains of its gasification plant operate as intended, in tandem, with both of its combustion turbines and its steam turbine producing electricity at a net capacity factor averaging 82% or more when operating on syngas. It is operating at barely half that factor. By common regulatory standards, the plant simply cannot be considered fully “used and useful” as an integrated gasification combined cycle power plant due to its poor performance and excessive costs. The Indiana Utility Regulatory Commission, as a result, should strictly limit the plant’s operating and maintenance costs that Duke can pass along to ratepayers, thereby assuring that they pay only reasonable prices for the electricity, and only for power they actually receive from Edwardsport. David Schlissel is IEEFA’s director of resource planning development.